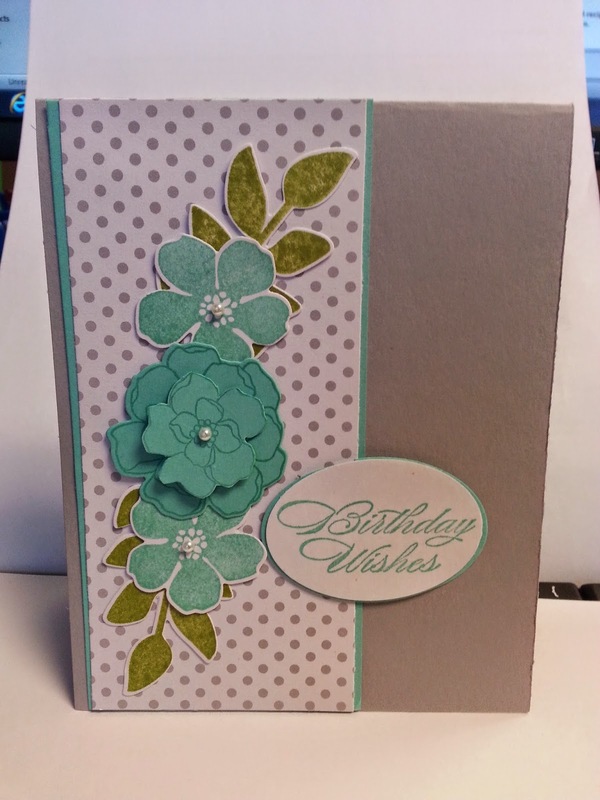 Birthday wishes with Secret Garden flowers is a great combo with the Smokey Grey. I saw the colors used in a living room & thought they would work for paper too! Have a great day! Enjoy your day! definitely a favorite color combo of mine!